Usually Kemalism is seen as a program of reforms or an ideology imposed by the founder of modern Turkey, Mustafa Kemal Atatürk, after he came to power in 1923. Indeed, since the early 1930s, the Turkish state endeavoured to impose a monolithic definition of the term, connected to the development of the personality cult of Mustafa Kemal himself. 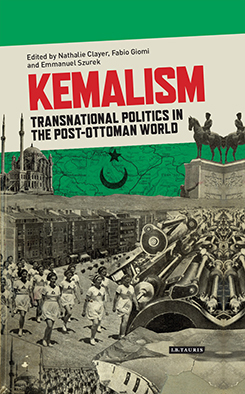 However, this book argues that Kemalism can only be fully understood from a transnational perspective. The national frame is not the only appropriate scale of analysis for shedding light on the process of the nationalization of societies and nationalism itself. In the same way, the Turkish national lens is not necessarily the most adequate one for understanding the genesis and evolution of what Kemalism stood for from the early 1920s onward. Thus, without denying the role of Turkish state and non-state actors in making Kemalism a global symbolic product, the aim of this book is to observe how the latter was elaborated through complex patterns of circulation inside and outside of Turkey. Featuring case studies from across the post-Ottoman space and using new primary source research, each chapter examines the different ways in which national borders forged, refracted and transformed the label “Kemalism”. Across the Balkans and the Middle East, the volume investigates six different topics (language, alphabet, woman, law, dress, and Orientalism) in six areas during the interwar period (Turkey, Bulgaria, Cyprus, Albania, Yugoslavia, and Egypt). The focus is on how the objects in circulation were transformed in the very process of circulation, and how they came to assume different significations and forms in various time-space configurations.